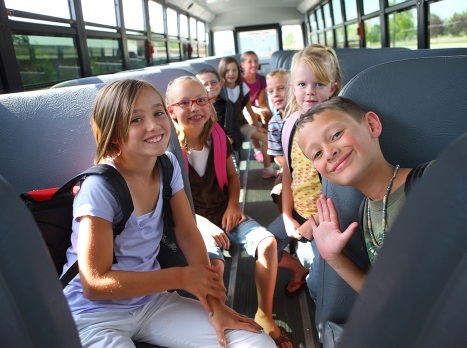 BusMinder has a inbuilt excursion system allowing teachers to allocate students to an Excursion. Using the BusMinder App, the teacher can instantly see who is onboard a Bus and who is still to board. Bus driver can also start an AdHoc excursion and BusMinder will record all the students who board a bus. When it's time to return home, BusMinder will show the list of students still to board. As the students board, their name is removed from the list making it simple for the driver to ensure all students are on board. BusMinder also integrates with third party excusion providers to retrieve the list of students expected to board a bus. School excursions can be a stressful time for teachers. Ensuring all students return to the bus and are accounted for can be very time consuming, especially when multiple buses are in use. Parents can confirm that their child has boarded the bus using the BusMinder app. It can also provide 'real time' location reports on the bus's journey, eliminating the need for parents to call the school regarding the bus arrival time. Load up the register of the students participating in the excursion. Students 'touch on' via an electronic card reader using their BusMinder card. Teachers can see the registered students as they board and tap. Once all students have boarded, BusMinder will give the all clear to go or advise the teacher who is not on the bus. BusMinder is innovative app that creates a safer, more secure way for students to travel. Using the latest in GPS and smartcard technology, BusMinder provides teachers and parents with real-time information on the location of students at all times, for both daily travel and excursions.